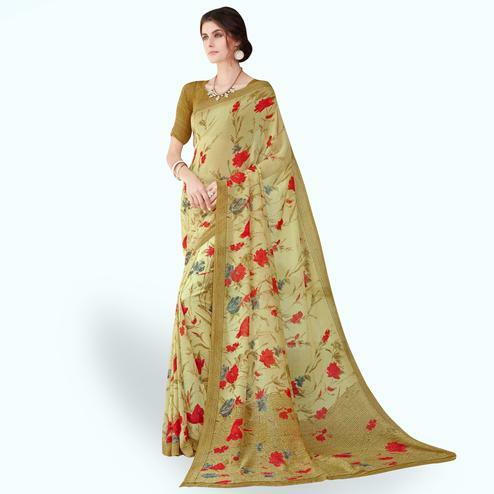 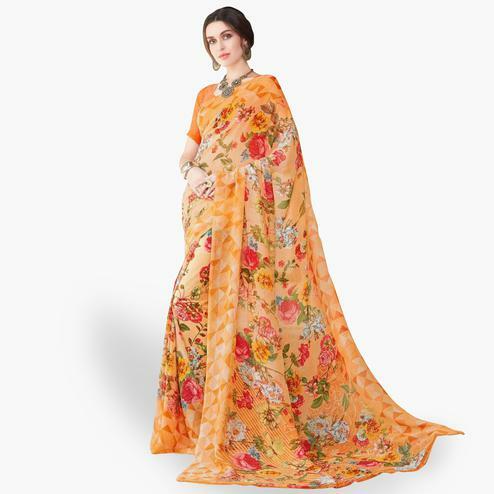 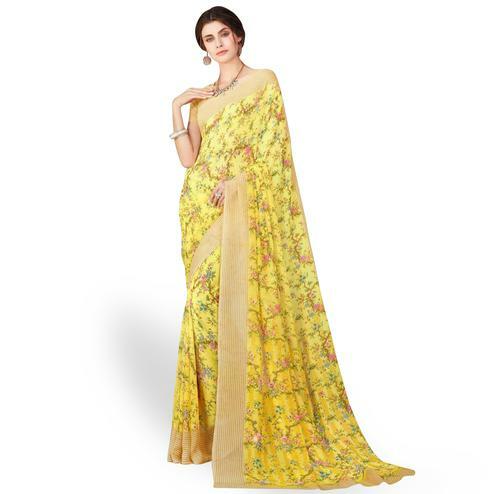 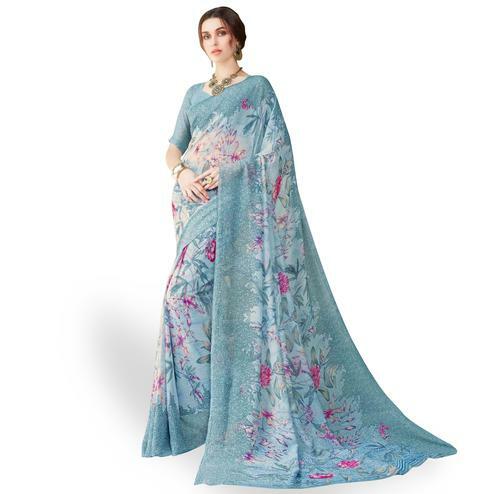 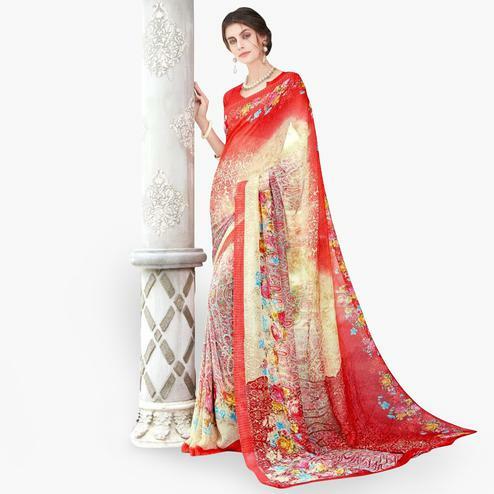 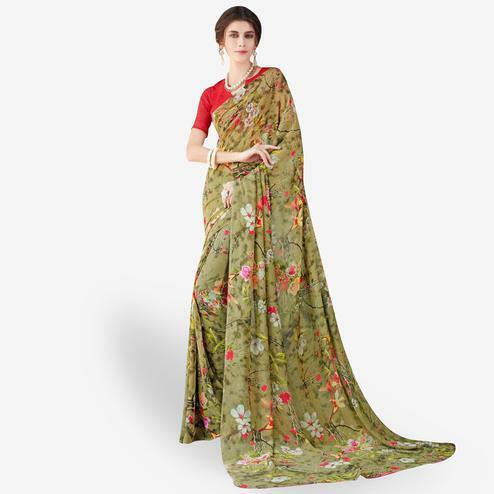 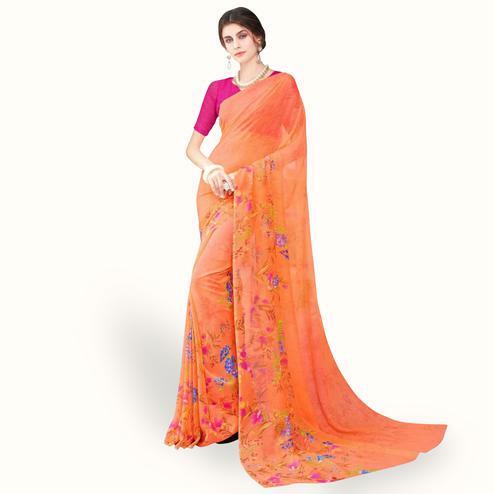 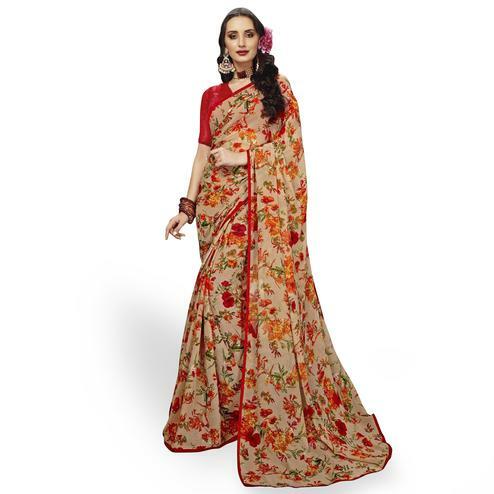 Grab everyone's attention with this cream colored saree enriched with fancy print as shown. 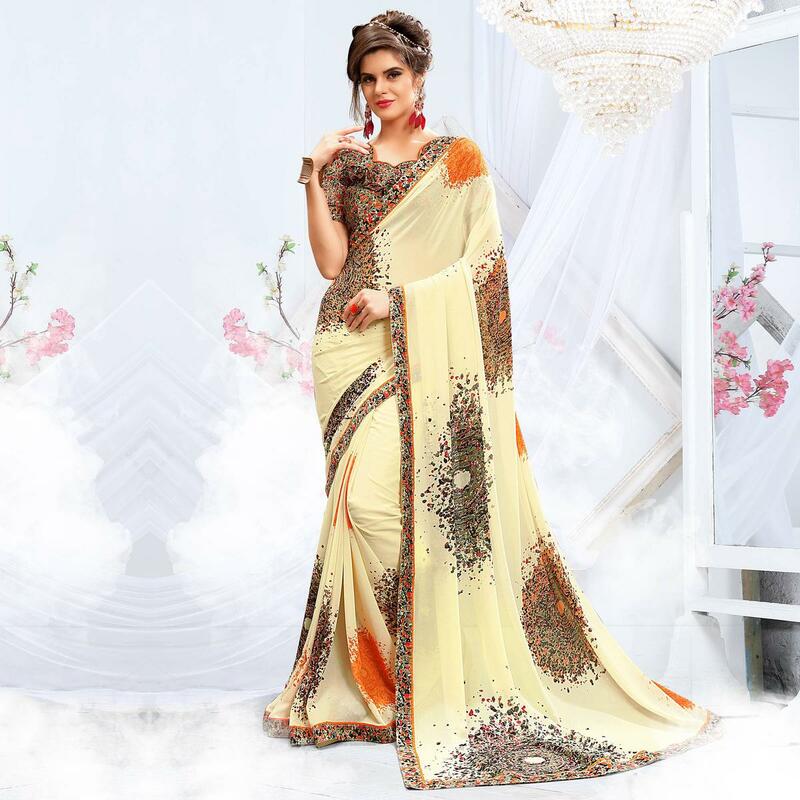 This saree is designed with georgette fabric which not only gives an attractive look to the wearer but it's also easy to maintain. 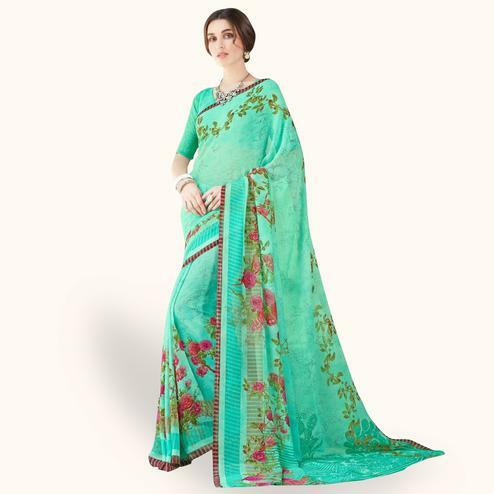 Available with banglori silk fabric unstitched blouse piece. 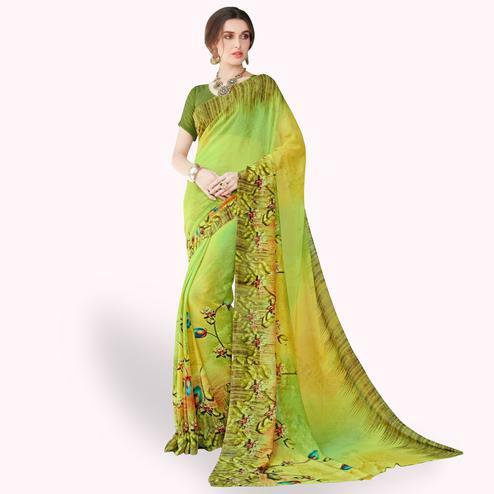 Suitable for casual outing and social get together.